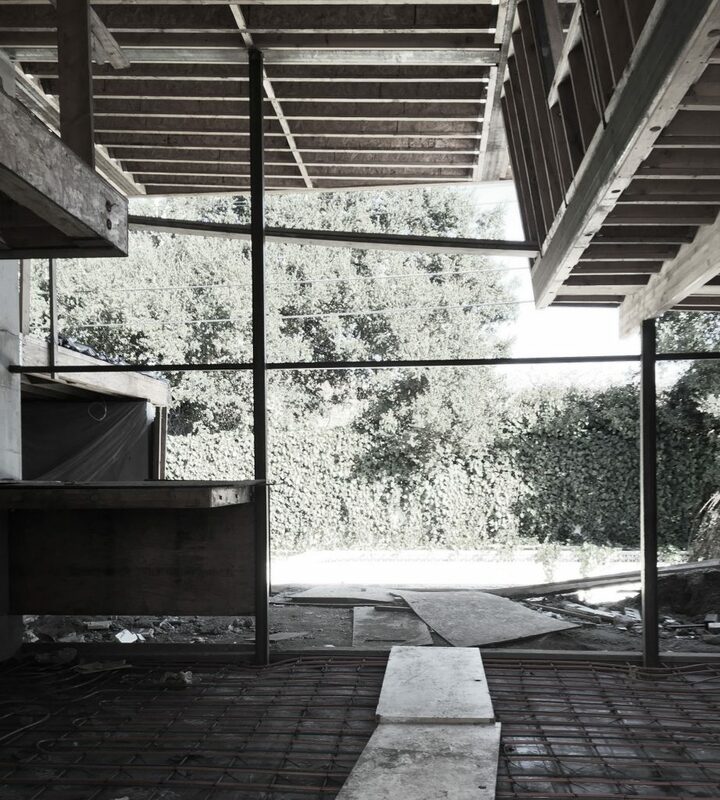 The dwelling is designed for a young family who desired an expanded open plan that created ample transparency throughout the home. The design also provides a visual connection to the existing garden and pool. 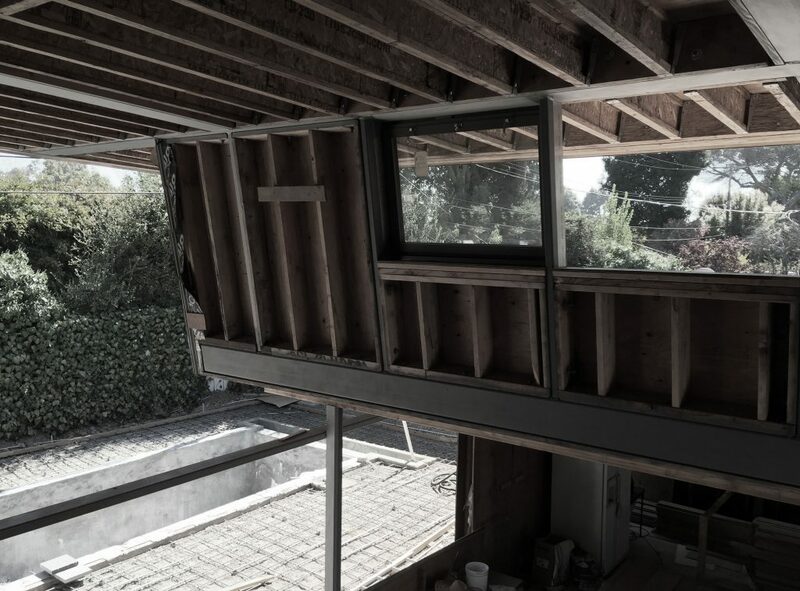 The project consists of transforming a 1950’s existing Joseph Eichler home. 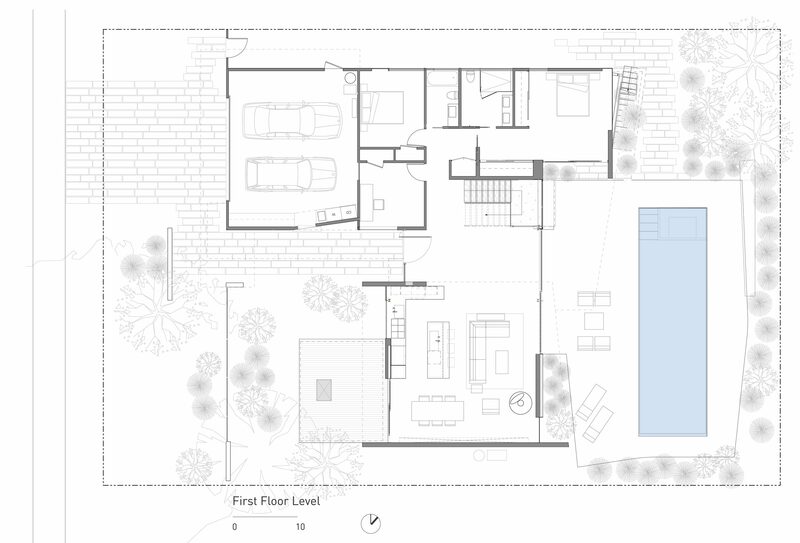 Using a similar material palate the design utilizes the primary floor plan of the existing layout. 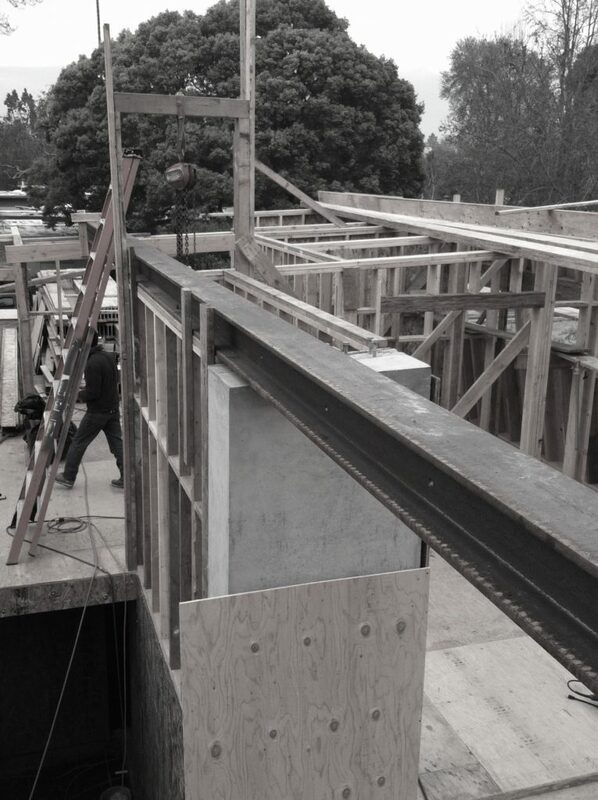 Folding out the horizontal and vertical planes of the first story to form an extruded ribbon where a large central area and second floor bedroom wing inhabit. The main living space is situated on the ground floor connecting the front garden and rear pool area. 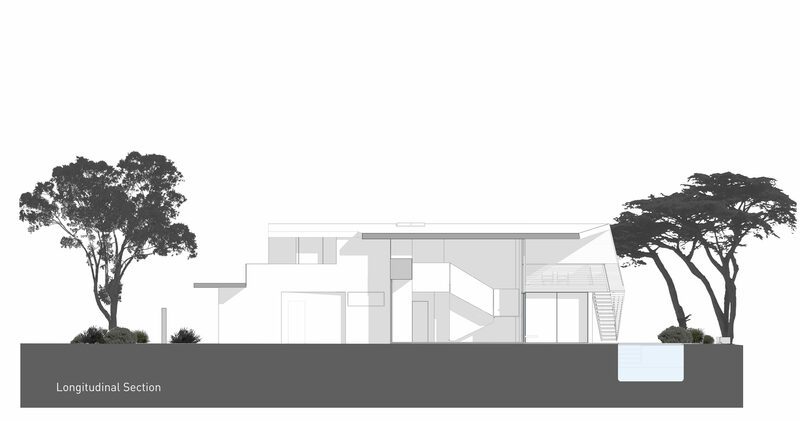 Two existing bedrooms and office area are reconfigured to become more transparent to the outside gardens. 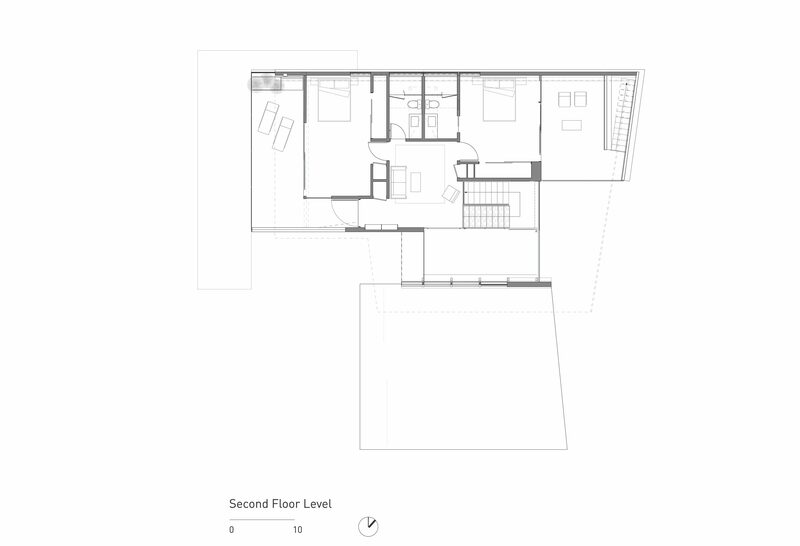 The second floor accommodates extended family with two bedrooms, bathrooms and sleeping porches. Photovoltaic panels, solar water heating and rain catchment systems are used to offset energy and water loads. 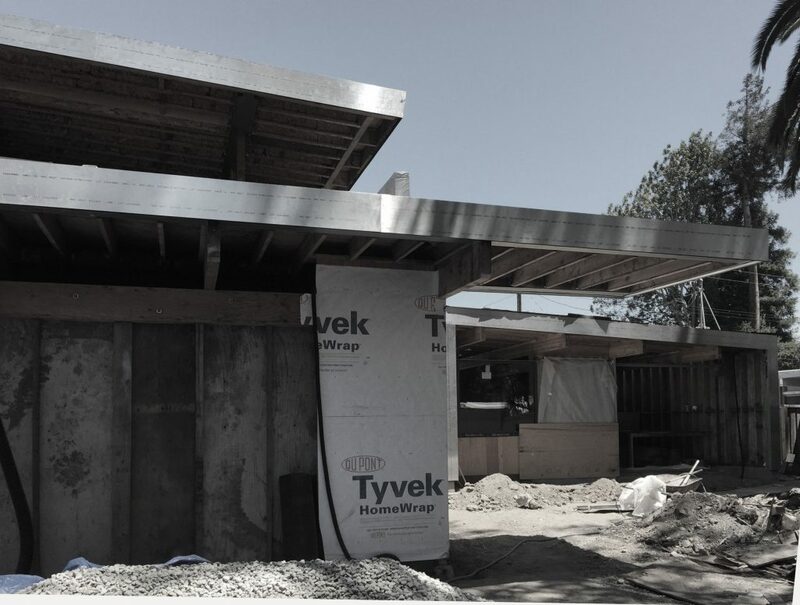 Large overhangs provide sufficient shade during the warm months.